After dying my hair for several years in various different colours and I suppose just being a girl in general, you tend to pick up little tips of what you should and shouldn't do when it comes to your hair. When I was 16, I enrolled in a Hairdressing NVQ Level 2 course at my local college and although at the time I really hated it, I have to admit that I actually learned some good things and it's made me twice when I do anything to my hair. Now you guys might know these tips and they might not be so secretive BUT they're all tips that I use in my day to day life and honestly, I love reading these sort of posts myself! 1. Try and wash your hair as little as possible. The more you wash, the more you strip your hair of your natural oils. I'd personally invest in a good dry shampoo and try and wash your hair every other day. The longer you can leave, the better! 2. Use a hair mask once every week. We all need pampering once in a while and the same goes for your hair. My favourites are anything containing Argan Oil, it does wonders for my hair! 3. Get your hair trimmed every 8 weeks. Unfortunately there's no cure for split ends apart from cutting them off. Even if you're trying to grow your hair out, a good trim can actually keep your hair in good condition and make your hair grow quicker and fuller. 4. Try not to towel dry your hair too vigorously. It's damaging to your hair! A lot of websites recommend actually drying your hair on paper towels but I think that's a little too drastic. Just pat your hair down and scrunch the ends to get rid of excess water. 5. Brush out those knots! After showering, use a wide tooth comb and gently brush out your knots. Start at your ends then work your way up. 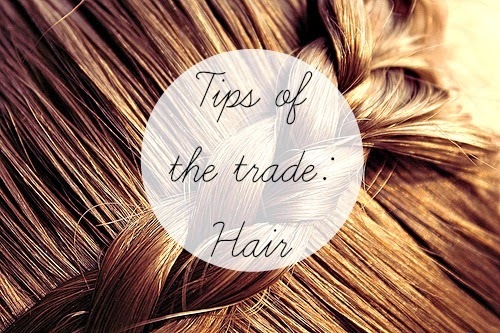 Don't start at the top as you'll bring the knot down the length of your hair and end up making the knot worse. 6. When drying your hair, stop when your hair is dry. You're adding unnecessary heat to your hair which is more damaging and will make it look dry and dull. 7. Use products! For the perfect blow-dry, always use a leave-in conditioner or blow dry lotion as a heat protection and cuticle smoother. It'll make all the difference and sometimes you won't need to add extra product to your hair. 8. Download some apps! Having a major hair colour change is damaging to your hair, especially if you don't like it and have to dye it back. 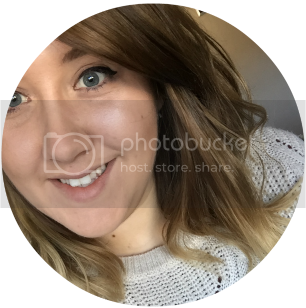 Try playing around with makeover programmes on your phone to see if the colour will suit you. This tip has saved me so much time and effect when I have my mad ideas to dye my hair a crazy colour! 9. Don't deny yourself your straighteners or curling tongs! Heat is bad for your hair and can cause your hair to become very dry and brittle but if you use a good heat protectant, it doesn't absorb all the heat and actually reflects it instead. 10. Be careful when buying a new bag! Yes, as stupid as it sounds, it is actually a thing! When using an over the shoulder bag be careful that you don't trap your hair under the strap because just yanking it out will cause breakages and end up giving you more split ends. Try holding the bag differently or tie your hair up. 11. Shampoo your roots only! This one is my favourite and probably the main one I swear by; only shampoo your roots! I've never heard of this before and since I've been trying it I've noticed a big difference in my hair. Before when I shampooed all over my hair including the ends, I would never be able to get the comb through it without a fight but now I only shampoo the roots, it's a lot smoother and I actually need less leave-in products after. I hope you enjoyed these tips and sorry if you know them already!